Surfing. Ocean. Sun. Sand. Bleach Blondes. Tans. Laid Back. What seems dangerous about that? Besides, it’s reported that you’ll die from a cow, icicle, coconut, champagne cork, or ladder before a shark. All this makes it easy to forget that the ocean can be unpredictable and dangerous, even for the most experienced surfer. So if you do experience a long hold down or shallow reef wipeout, you’ll be glad for not skimping on your safety precautions. Disaster survival begins long before any disaster actually strikes. The effort you put into training and preparing yourself for problems could be what saves your life. 1. Know the area- Just like the old adage says, look before you leap. It’s very important to scope out the area you are planning to surf in order to be aware of any rocks, shallow reefs, or other dangers to avoid. 2. Watch the weather- Keep an eye on the sky. And if you feel uncomfortable with the weather conditions, be willing to just get out. 3. 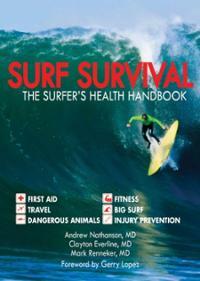 Dull your fins/nose- Fins on a surf board can be very sharp. And the last thing you want to worry about during a wipeout is being attacked by your own board. Take the time to sand down the fins! And definitely blunt the nose! 4. 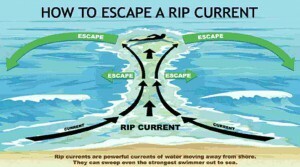 Unleash underwater- Learn how to unhook your board leash while underwater. Leash entanglements can be deadly. And you want to be able to get out while submerged and stressed. 5. Know yourself- Most importantly, know your own boundaries. When is it a good challenge and when are you out of your depth? Don’t take on waves bigger than you can currently handle. Sometimes even after diligent preparation, nature will get the best of you. 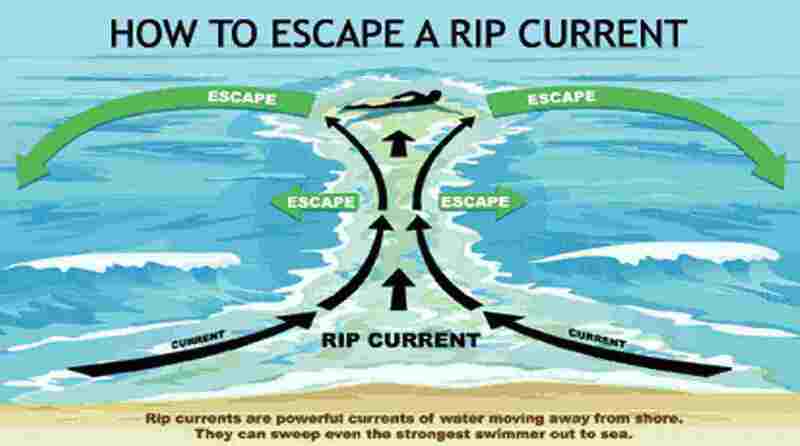 Riptides are one of the sneakiest dangers of the ocean. While there are ways to help identify them from shore, you may still find your self caught in one. Flip onto your back so you can breathe. Follow the current until it weakens. Swimming against the tide immediately will just waste energy needed to get back to shore because a riptide’s force lessens the further from shore it gets. This means that 50-100 yards out it will stop pulling you out. Once the current has subsided, you can swim parallel to the shore until you are completely out of the riptide. Then you can either float some more or begin swimming back to the shore. Coral is very sharp. Taking a wipeout onto it does not feel good. While the best practice would be to not wipeout in a shallow reef, it doesn’t always happen that way. So if you do find yourself in a shallow reef, do the starfish. On a normal wipeout, your instinct is to bring your arms together above your head and extend yourself in a line. 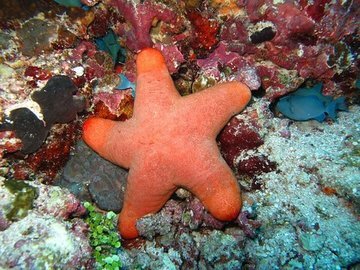 The starfish is the opposite. When you wipeout, extend your arms and legs out to the side, making a star shape with your body. This will spread out your body weight to help you float higher- and farther away from the coral. And if at all possible, avoid duck diving. Hold downs are perhaps the scariest part of surfing. Being at the mercy of the wave and tossed around like a rag doll is never a pleasant experience. Hold downs are inevitable though. And there are rights and wrongs on how to handle them. Panicking and fighting for the surface are the worst things you can do. It makes your body use more oxygen and just makes the situation worse. Instead, practice increasing your lung capacity on shore. This will help you be more comfortable during a long hold down. While the average hold down only keeps you under for around 12 seconds, bigger waves will be longer. And you may get hit with more than one wave in a row. Greg Long, a big wave surfer, suggests yoga and meditation as ways to train your self to relax during long hold downs. 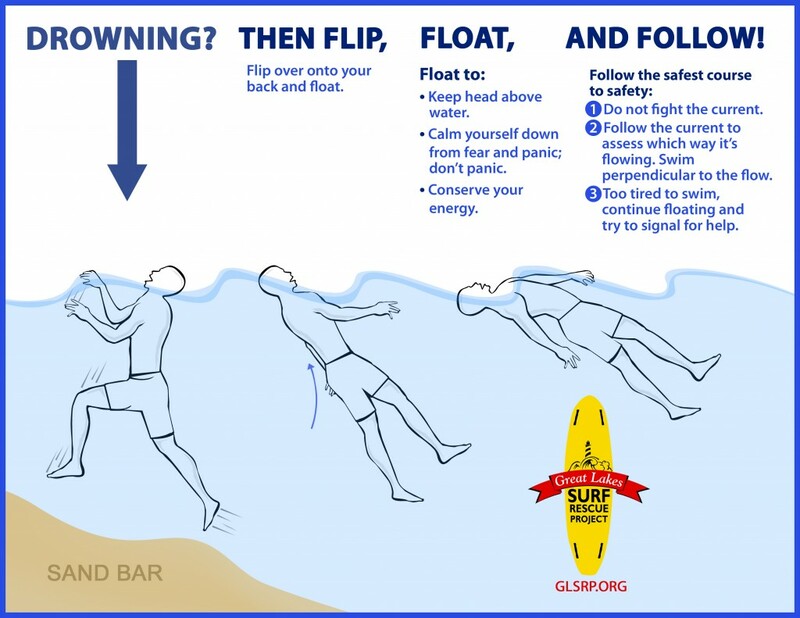 And you can always look up surfing safety classes. There are many offered all over the place and they are quite comprehensive. What’s your scariest surfing story?